Vantablack – short for “Vertically Aligned NanoTube Array” – has enthralled not just engineers and nerds, but also artists (Anish Kapoor has exclusive rights in the art world), architects and more recently, watch designers. Developed by Surrey NanoSystems and launched in 2014, Vantablack absorbs 99.965% of incident light, making it the blackest substance ever. It’s essentially made up of carbon nanotubes that are vertically aligned, trapping any light that enters. But the downside to its incredible light absorbing properties is its prohibitively high cost. The substance can only be applied at 400°C, thus Vantablack can only be used to coat materials that can withstand high temperatures. 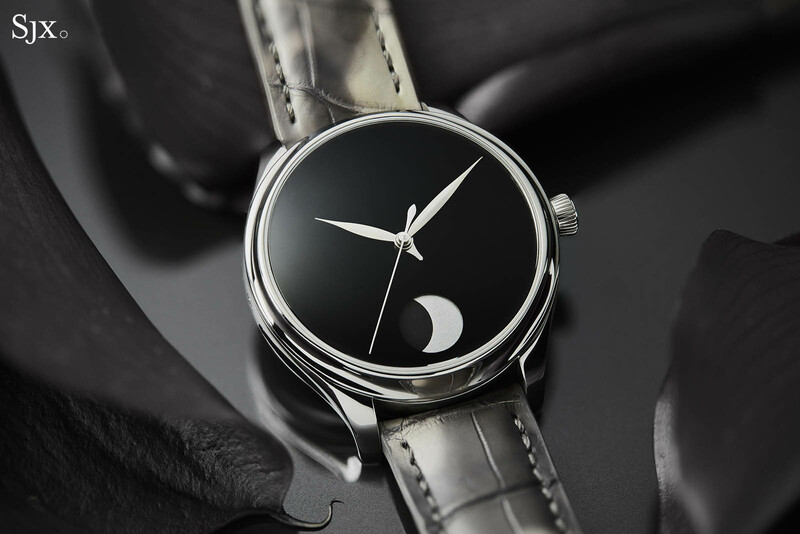 A handful of watchmakers, most recently H. Moser & Cie., have used Vantablack as a finish for dials, turning them into a black void inside the watch case. All the watches equipped with Vantablack dials have so far been priced well into the five figures. 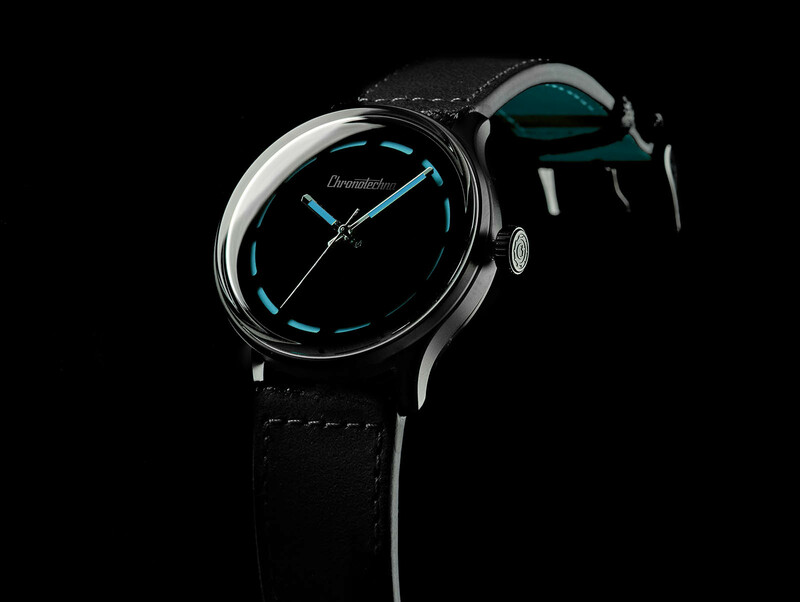 Prague-based brand Chronotechna, however, has just unveiled “the blackest watch ever made”, priced at just €389 on Kickstarter. According to Chronotechna, the dial of its watch is coated with the “darkest man-made substance… originally developed for satellite-borne blackbody calibration systems”, a substance that absorbs 99.9% of incident light. 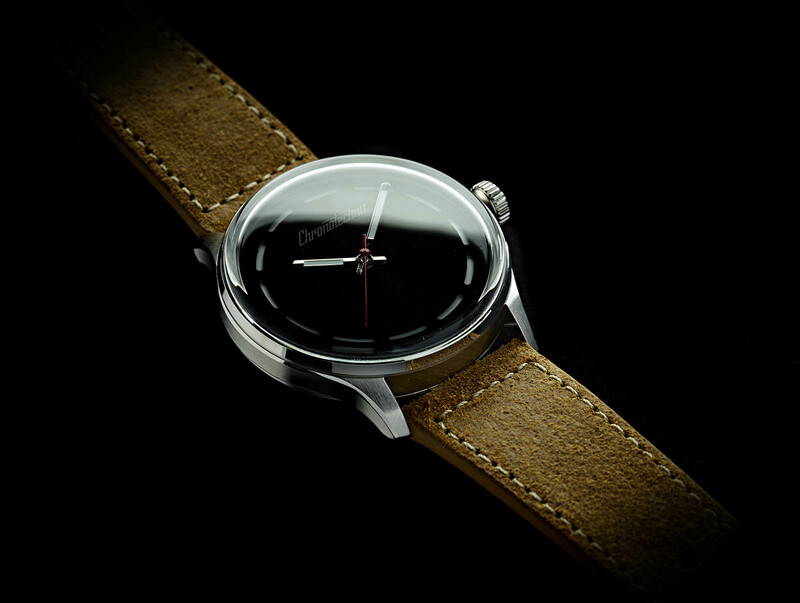 A name from 1946 that was recently revived, Chronotechna won’t divulge any details about the black coating it uses. That being said, it is worth pointing out that Vantablack is not the only ultra-black on the market. A black coating similar to Vantablack, but more affordable, was launched last year by American nanomaterial specialist Nano-Lab. It was originally developed as part of the company’s ongoing parternship with NASA, which needed ways to reduce glare on space equipment. Named adVANTA, the coating is one of several lower cost options on the market, which offer up possibilities for wider use. In fact, Nano-Lab also offers Singularity Black, a coating that is applied with an air brush and costs just US$300 for a 250mL can. 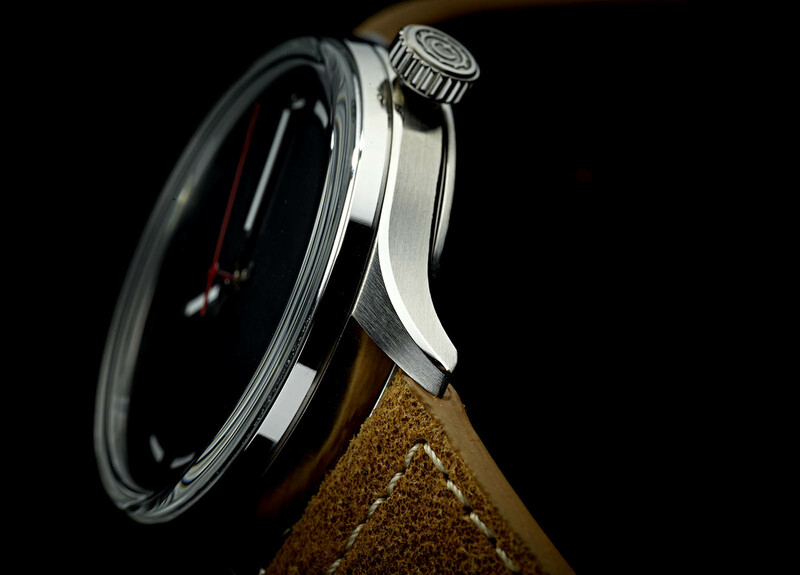 The dial is sparse, which lends itself well to the dramatic effect of the coating. It’s ringed by a hour markers that are apertures cut into the dial, giving it a “sandwich construction”. 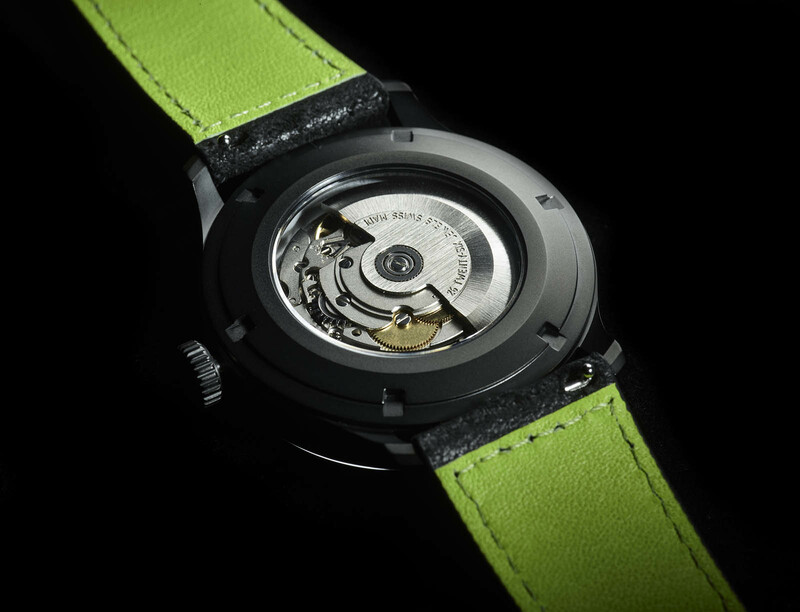 It’s available in four versions, with the Super-Luminova on the dial and hands in green, orange, blue or white. 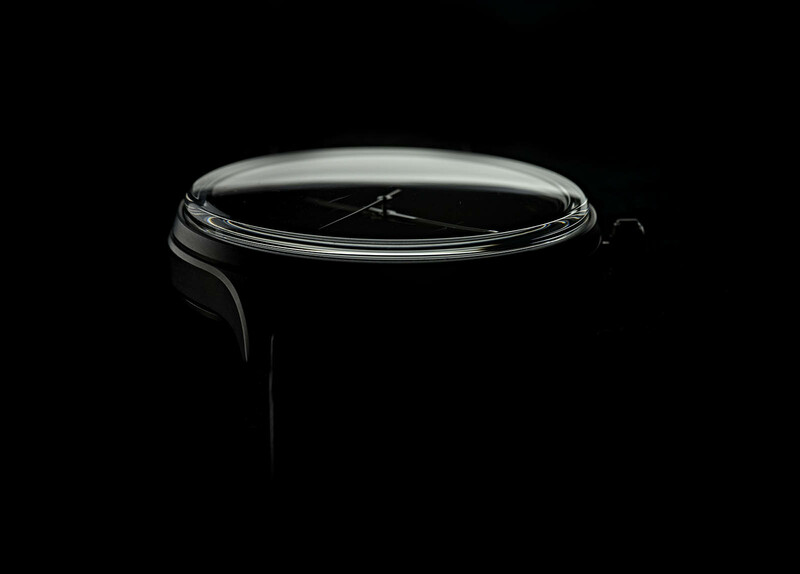 Measuring 42mm in diameter, the Chronotechna case is stainless steel with a brushed case band and a polished bezel, topped by a domed, “sapphire-coated crystal” (which likely means mineral glass with a hard coating on top). To match the dial, the case is also offered with diamond-like carbon (DLC) coating at no additional cost. The watches are powered by the self-winding Sellita SW200 in its no-date configuration, which is visible through a sapphire case back. 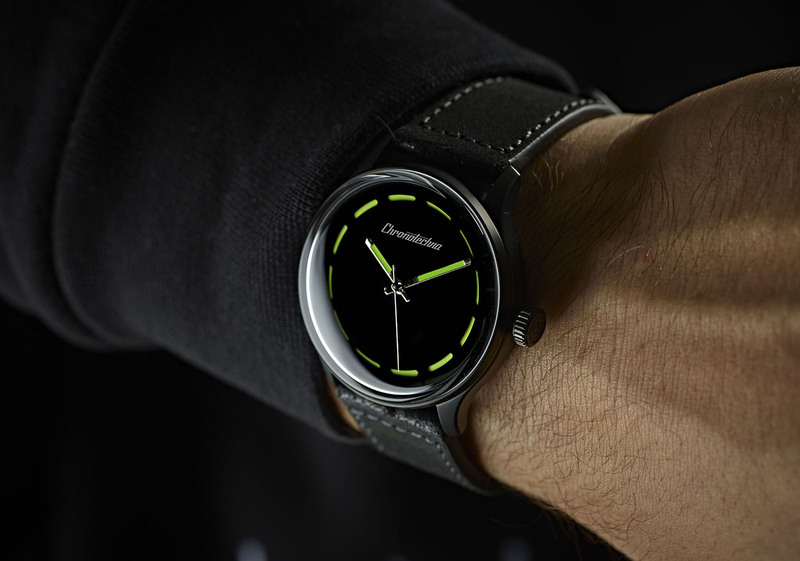 The price of the Chronotechna starts at €389 during the Kickstarter launch, with the retail price in the future slated to be just under €2000. It will be available starting 4pm GMT on October 31, 2018. Correction November 2, 2018: The crystal is sapphire-coated, and not sapphire as stated in an earlier version of the article.